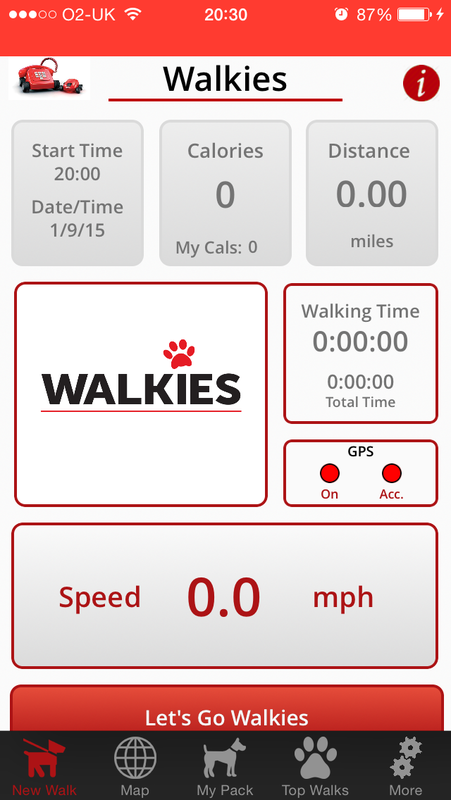 Walkies App Review & Win £50 PetsPyjamas Vouchers! Anyone else with a smart phone get a bit obsessed with the health tracker? It’s a free app but I am always fascinated to see how many steps I have taken in a day. Although I’d love it, I refuse to get a fitbit or similar device, as I think it would just make me feel more guilty for the evenings I don’t move in front of Netflix. 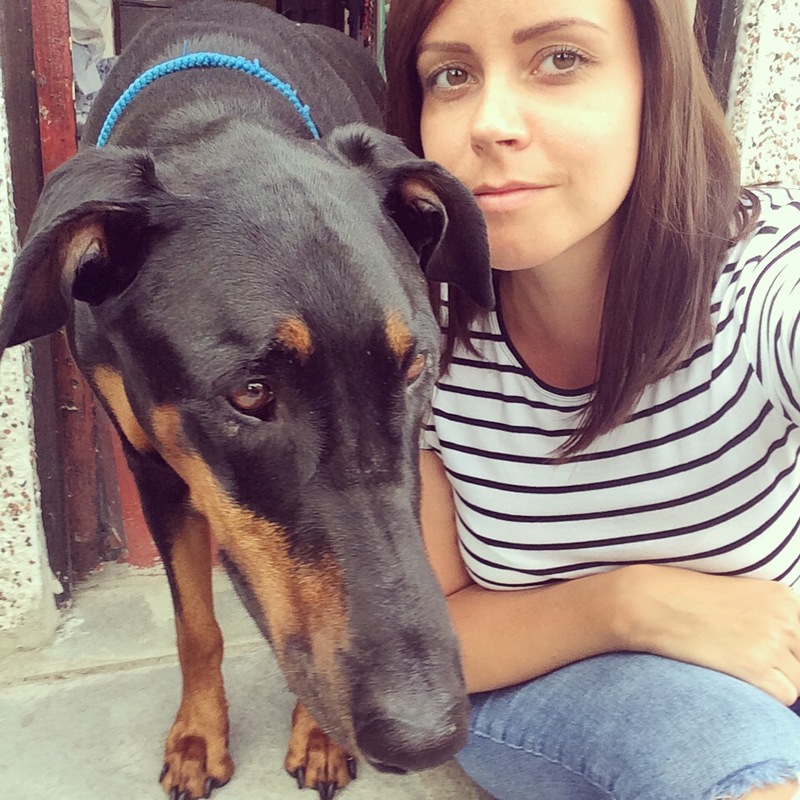 The app has been created as part of Direct line’s campaign to help reduce pet obesity. The app aims to help keep dogs fit by allowing you to record the distance covered and the calories burned by you and your pet while walking. Whilst doing that, i guess it will also help owners to get out and about too, so if you need a bit of motivation, apps like this are a great way to monitor your progress. So let me walk you through it! After signing in, the first thing I did was add Lupo’s vital stats. 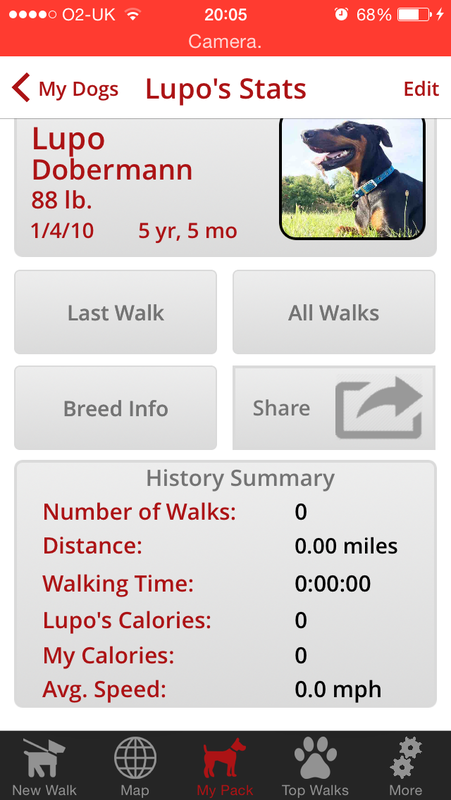 I like that he has his own profile and all the data from the walks will get added in one place. If you’re brave enough, you can add in your own weight and it will help calculate how many calories you’ve burned. Next up I had a nosey at the other features. You can search for ideas on walks, according to your location, or wherever you are planning to travel to. This gave me a map in which I could zoom in and see suggestions. There were only a few near me, so I hope to add to those in the near future. So now you know where you are going, it’s time to set the app to work. I’ll be honest, the first time I did this, I completely forgot to press the big red button. But once I got in the habit, it’s a 5 second job to open the app on your way out the door. Just don’t forget to turn off the location services when you’re not using it, as that good ol iPhone battery will decrease rapidly! Lastly, the app lets you share walks with your friends, which is useful if like me you are constantly googling nearby reservoirs or walks to go on for a change of scenery. As extra motivation for your pet on their weightless journey, you can follow the Fit Fred Blog to see a real Golden Retriever on his quest to get trim using the Walkies App. If you like to ride a bike or run with your dog, the app will still record all the details – just leave out the steps for cycling. So to celebrate you and your pets getting fit and healthy, with Direct Line’s help, we are giving you the chance to bag a £50 voucher for PetsPyjamas. The site is full of awesome items for your dog or cat and you’re sure to find something to treat your favourite furry friend. Just click the link below and GOOD LUCK! Full T&C’s can be found on the Gleam page above, but as a recap. Entries are open until the 30th September. One winner will be chosen at random by Gleam. You can enter as many of the methods as you like, but remember, the more entries, the more chance it will be of you going shopping with those vouchers! Thanks for entering. Great app! Thanks for the review! My favourite walk to take our dog is along our local prom, where we can look out to sea and see the yachts, boats, ships and odd brave surfers! We are a two minute walk away from the prom and beach so we go down there everyday. I love pre-work dog walks. All the dog walkers always say hello, it’s very friendly at 6am out there! Me too Liam! Best time of the day. Lincolnshire Wolds – its stunning. A love wood near us is a great place for dog walks, everyone is so friendly. Footpaths for walking ease, but also woodland to feel close to nature and so pooch can run free! one of the various walks within Dalby Forest, North Yorks. safe and full of adventure for both of us…..
It’s beautiful there, great choice. I love going to the local nature reserve, there are 4 different trails to follow so there are plenty of adventures to be had! My favourite walk with Max was through the park and along the River Clwyd. Max LOVED the river. Had to look to see if there was any livestock about first. My partner missed that there were some bullocks in the field once. I just wish she’d taken a recording of it. One bullock came to see what was making all the noise splashing in the river. Walked right up to Max, nose to nose, and MOOed at him. Max squeaked and ran back to Lisa with his tail between his legs. 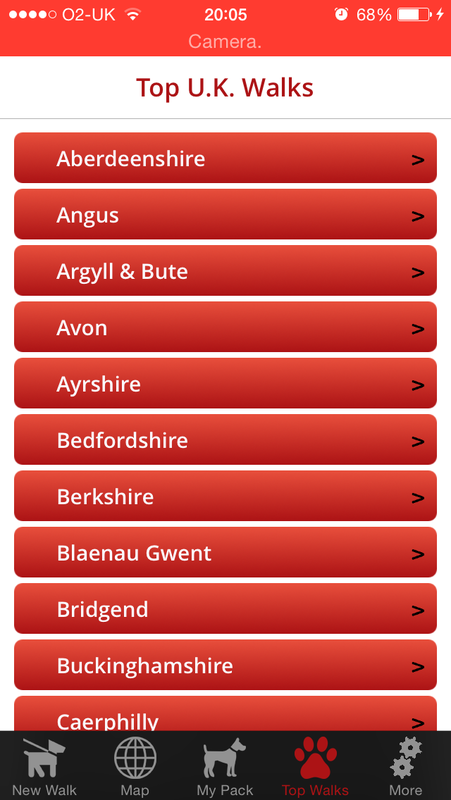 What a brilliant app! Aylestone Meadows Nature Reserve in Leicester is a great place to go walking with my dogs, Super dog friendly! I can’t walk our dog anymore as she is very old and her legs aren’t the best these days, I used to love taking her in to the fields across from our old house, she would run back and forth for hours, it was precious. We are very lucky to have some beautiful country walks on our doorstep but our Jack Russell cross loves the beach when we are on our holidays. The App sounds great and is a much better measure of exercise than time spent walking. I’ve no idea how far me and Spud walk, it would be interesting to find out. Spud is a lively boxer so needs two to three walks a day so I would probably take note of our normal day to day route and aim to equal or beat it most days so that I know hes getting enough exercise. I live in the heart of the pembrokeshire countryside, so me and my three dogs enjoy walking for miles every day through the fields and woods! What an awesome app! I love taking my dog a walk round my local woods. My favourite dog walk is our local racecourse – I am lucky enough to live less than 10 minutes walk from it, and it has a public footpath running across it. It’s the most wonderful large, flat open space that the dogs adore racing around on, and it’s useable year round! I walk on our local plantation which belongs to the Forestry Commission and is lovely for dogs and humans! I love walking the dog in the local park. Lots of nice doggy friends there. We also like going to the woods. Pretty much any beach that isn’t crowded and allows dogs! We don’t get to go very often unfortunately. Green Castle Woods – Llangain, Carmarthen. It is a Woodland Trust Walk and very popular with lots of dog walkers. My favourite dog walk is through the woods near our house. Love to let the dogs off the lead to go and explore. They love it! Queenswood near where I live,it’s so beautiful and has really good pathways through.